After a 15-hour flight from Dubai, arrival in Brazil could not have been any sooner. Even in exhaustion, the sunset was striking, one of the most spectacular I’ve seen, and this isn’t even meant to be the pretty part of the country. The immigration process took a while but only because of the length of the queue. When I got to the counter, I must confess that I was slightly unnerved to see a very young woman wearing braces, checking through my documents. However, she was quick and efficient, and that helped! The security check was unusual, as it took place while I waited in line for immigration. Two men wearing their badges around their necks approached, asked the purpose of my visit, and that was that. It was the same for everyone as far as I could see. We were met by Carlos, who works in the government, and is here from Brasilia especially for us. As it is the beginning of winter in Brazil, days are short, and so at 7 in the evening, it was already nighttime. Our van moved smoothly through a highway that could have been anywhere in the developed world, which gave way to narrow streets with cobblestoned sidewalks that wound up and down the hilly city. Having gone straight to the hotel, I don’t have much else to report, but here’s a bit of a backgrounder. 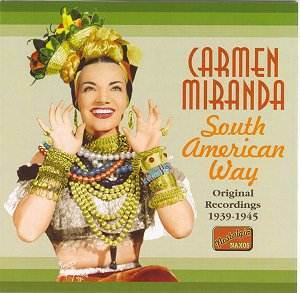 A far cry from Hollywoodised symbols of ‘Latinness’ such as Carmen Miranda*, the woman that represents Brazil is its president, Dilma Rousseff. 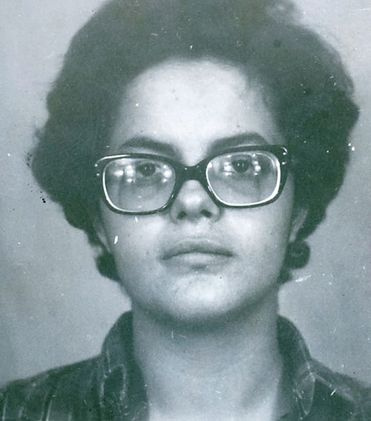 Handpicked by Luiz Inácio Lula da Silva, her predecessor and the country’s most popular leader ever, she ‘became involved in leftwing organisations opposed to the military dictatorship in power at the time, activity which led to her being imprisoned for three years. After this country of over 200 million returned to democracy, she made her name in politics.’ In other words, this rising economy’s leader — a woman, if I may reiterate — was an urban guerilla and that too, in her teen years, during which time she was tortured for fighting a Western-backed military dictatorship. Not too bad, eh? 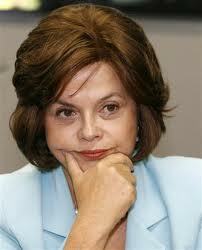 At 63, she’s being touted as the world’s most powerful woman. Not bad at all. According to the CIA Factbook, as last seen in 2004, literacy is at over 88% with female literacy higher by .4%. My guide explains that in the days of the military’s rule, education was low on the list of things-to-do, which is why it has been a top priority with the democratically elected government. (A government of the people correcting the wrongs of military dictators past — these things do happen…Sigh!) The Guardian tells us that one of the greatest problems faced by the country right now is a shortage of skilled labour. The Brazilian government is tackling this not by importing from third world countries as many states do, but by launching a training scheme for its own youth. The shortage is particularly acute in high-growth industries: building, boosted by an ambitious programme of social housing and infrastructure projects linked to the football World Cup in 2014 ; mining, encouraged by rising world prices; and energy, powered by deepwater oil and gas. […] One temporary solution would be to take more well qualified foreigners, but public opinion opposes this option. In an Economist Intelligence Unit study of the market openness of 30 countries Brazil placed 23rd: it has only 1 million legal immigrants (0.5% of the population, compared with 2% in Chile). In a twist of fate, poetic justice or just plain irony, after raising ‘several tens of millions of people out of poverty in the last few years,’ Brazil is now contemplating pulling its former colonizer, Portugal, out of the mire of financial debt. It’s a postcolonial country’s wildest fantasy come true. 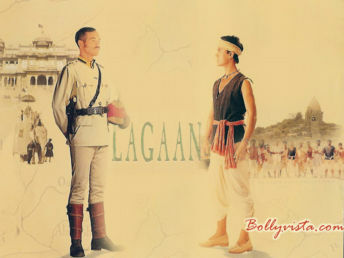 It’s better than Lagaan’s cricket match. Needless to say, it’s not Utopia. Disproportionate distribution of wealth is a problem that everyone talks about, and we, as Pakistanis can certainly understand as one of my party, the designer, Kamiar Rokni commented. Interestingly, a gentleman I met on the flight mentioned that his company has just landed a project to make millions of prefabricated houses for the Brazilian government in an elaborate project called My house, my life. The program ‘aims to reduce the housing deficit in the poorest strata of society, […and] will include greater protection of women who are the heads of households, who will be able to sign contracts without their husbands’ approval.’ [sic] This scheme would be in answer to the much talked about favelas or shanty towns of Brazil that were also featured in the award-winning, critically acclaimed film, City of God. However, as the BBC reports, ‘environmental groups have warned that Brazil’s soaring economic growth, as well as growing global demand for agricultural produce, could increase pressure on the Amazon rainforest in the coming years.’ It must be said that since around 2009, deforestation has been gradually reducing to the lowest rates for 22 years. In conclusion, if you’d ask my take in a sentence: There are problems, but they are being confronted and tackled. *In case you don’t know who she is, and couldn’t be bothered to google her, Carmen Miranda was a Portuguese-born Brazilian Broadway actor and Hollywood movie star of the 1940s. She was best known for wearing endlessly high headdresses of fruit, an image for which she was popular in the US but criticised in Brazil as ‘feeding American commercialism’ and negatively projecting her culture. Despite the tough love between her homeland and the ‘lady in the tutti-frutti hat,’ Miranda was buried in Rio de Janeiro where the government declared a period of national mourning. Sixty-thousand people attended her mourning ceremony at the Rio town hall, and more than half a million Brazilians escorted the funeral cortège to her resting place. Hey! I’m so glad to stumble on this from your twitter page. Carlos is a good buddy of mine as he used to be at the Brazilian Embassy in Islamabad (hoping its the same happy crazy funny big man). I just read in the newspaper about the delegation and it sounds fantastic. How long are you guys in Brazil for? after reading this mail i felt as if i was in brazil. you have depicted brazil well. i really enjoyed reading this post. it is very nice post , i feeling very good. Thank you, this was very informative and succinct. you have drawn a very amazing picture of your brazil journey.. everything you wrote was like i am reading a story… but i must say, very well written what you have experienced..